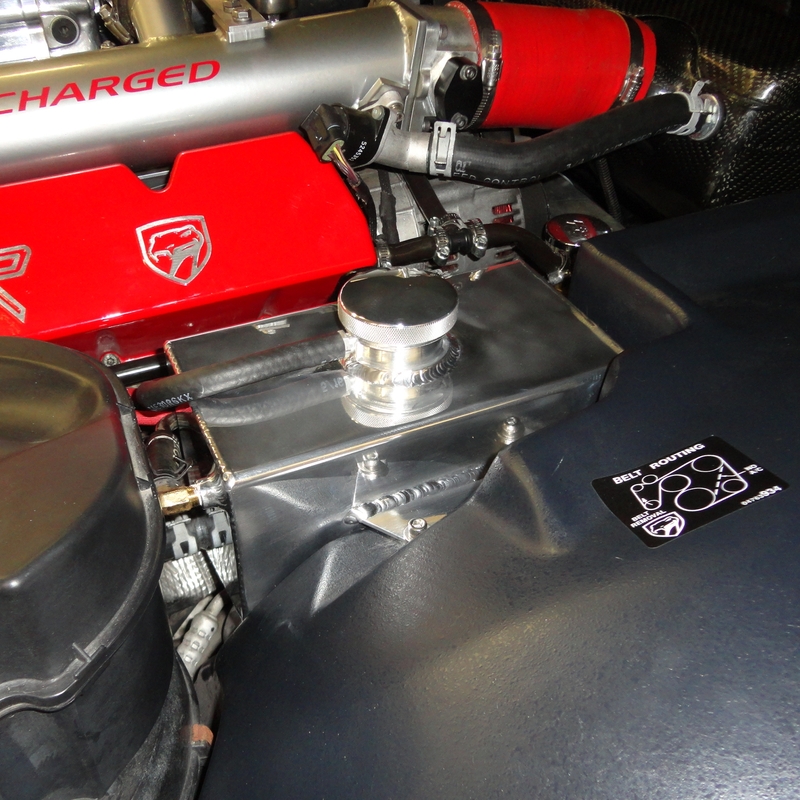 This Billet Coolant Reservoir replaces the ugly stock plastic eyesore. Its constructed of TIG welded aluminum and features ports for the factory connections, a polished or powdercoated finish, and stainless steel hardware. Installs in the stock location. Can reuse the stock radiator cap, or a billet radiator cap is available as an option.